Reference in historical texts to the region which forms present day Cumbria seem to be split into three eras from the end of Roman rule up to the unification of England in the 11th century. * Describing Cumbria as Northumbria between 620-908 is perhaps a gross generalization but as yet I have not devoted much study time to the period. Please also refer to the timeline page where a more detailed list of kings is portrayed. Present day Cumbria was formed in 1974 as part of a UK wide re-organisation of counties. It encompasses the old counties of Cumberland, Westmorland and the North West section of Lancashire. Cumbria in the tenth century was another (perhaps much later) name for "Regnum Cumbrense" which was a collection of districts covering the lands of the Britons on the North West coast of England. The name was in common use at least 100 years prior to the creation of the modern day county of Cumbria. The individual districts were governed by princes and the overall district by a king (Pendragon). The districts included Strathclyde and Cumberland and stretched down to the border of Wales. The ancient district of Cumbria is often referred to as Strathclyde which at first seems confusing as Strathclyde was the vale of Clydesdale in Scotland. One theory for this is that as Strathclyde was the crown seat of the kings of the Britons, people referred to the whole district as Strathclyde in much the same way as people refer to Great Britain as England. It is also possible that Cumbria is another way of expressing the lands of the British (Cumber Land) but in a different toungue. Cumberland ceased to exist as part of the UK county reforms in the seventies and became part of Cumbria. Strathclyde, the Kingdom of, was founded in Year AD 148 by Corvus (Corbed]), the Cymric heir, descended from the hero-king Caratacus, who rebelled against the Romans, raised a following of British patriots, and established themselves at Alclyde ("Ail Cluathe"), i.e., Castle Rock, Dumbarton, which fortified settlement developed into the city of Dumbarton ("Dun Bretan" = "Fort of the Britons"), situated on the north shore of the Firth of Clyde on the Clyde River. anti-king in opposition to the junior line, which was then represented by the client-king Coilus I (Old King Cole) (reigned AD 94-154, 60 years), installed by the Romans as a puppet-king. Corvus (Corbed) maintained himself at Dumbarton against attacks by the Romans under Tuscillus, the Roman governor, as well as attacks by the Picts under Durgal (Durdegal), the King of Albany, and attacks by the Irish under Fedlim, the King of Midhe (Meath-Connaught). The attacks on Roman Britain by the Strathclyde Britons under Corvus forced the Romans to temporarily abandon the Antonine Wall and withdraw to Hadrian's Wall. Corvus was killed in battle in Year 184 fighting the reknown Roman general Ulpius Marcellus. move to stop their attafcks on Roman Britain. campaigns on the European continent. Gwydno "Garanir", the King of the North Britons, in Year 543 moved his seat from Dumbarton, i.e., "Alclyde" ("Rock of the Clyde") to Glasgow, due to attacks by the Scots, etc., after which the name of the northern British kingdom came to be called "Strathclyde" ("Vale of the Clyde"), for which he is reckoned as the "first" King of Strathclyde. The kingdom came to an end as an independent state in Year 889 when its last native king, Eochu, was expelled by the Scots, whereupon he and the remaining members of the Strathclyde royal house fled to Wales, and disappear from history. In the early years following the evacuation of the Roman Army, Britain was torn by civil wars among five kings (GM), who were each powerful enough to dominate large portions of the island and harass each other. They carved up post-Roman Britain among themselves and founded their own kingdoms. They were: (1) Dunvallo "Molmutius", King of Cornwall, who held sway in Southern England, while Northern England was divided into thirds among (2) Coilus (III) "Votepacus", King of Gododdin, who held sway in N-E England and S-E Scotland; (3) Antonius "Donatus", King of Galloway and Cumbria, who held sway in N-W Engaldn and S-W Scotland; while (5) Eugenius (Owain "Finddu"), King of Gwent, Glamorgan, & Gower, held sway over Wales, supported by (a) Cunedda "Guledig", Lord of Gwynedd; (b) Owain "Fraisg", King of Demetia; and (c) Tithlym "Prydyn", King of Powys. These five kings strove among themselves for supremacy in Britain. They were followed by Vortigern who reunified the country under a central government and reigned as High-King over the whole of what had once been the Roman diocese of Britain. (2) Coilus (III) "Votepacus", the Welsh Cole/Cole "Godebog"/"Guotepauc", who is often confused with Cole "Hen" (Old King Cole), i.e., Cole I, and sometimes confused with Coel?cole II, the eponymous founder of, and/or duke of, Colchester, who is sometimes confused with the others of that name even today by modern scholars. Coilus/Caelius "Votepacus", called "protector", is to be identified with Coelestius "Senex", the "dux Britanniarum", formerly in Roman service, who was descended from pre-Roman British royalty and was the representative of one of the secondary-branches of the Old British Royal House. His epithet "Votepacus"/"Guotepauc" means "The Splendid" or "The Excellent". 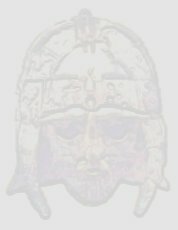 Cole "Godebog" (Coilus '"Votepacus") has sometimes been called Britain's "first" Dark Age king, and was regarded by the annalists of Northern England as the founder of Britain's Dark Age Royal House. Cole "Godebog" held sway in Northern England and sat at York. He later moved his headquarters to Dunbar in Gododdin (S-E Scotland) during the civil war between he and Dunvallo "Molmutius", who held sway over Southern England and is regarded by the annalists of Southern England as the founder of Britain's Dark Age Royal House. There are others also reckoned as the founder of Britain's Dark Age Royal House, e.g., Vortigern, for one. The move Cole "Godebog" made from York to Dunbar is why he is reckoned as the "first" King of Gododdin, which was a regional-kingdom overlapping N-E England and S-E Scotland. It is recorded that Cole "Godebog" launched a massive attack on Ayrshire against Quintillus of Strathclyde, and on Galloway and Cumbria against Antonius "Donatus" of Galloway/Cumbria. Cole "Godebog" appears to have again moved his headquarters at this time to Aeron (Ayrshire, Scotland), and appears later to have established his headquarters at Kyle, to which he gave his name. That would have been his third move. Cole "Godebog" would allow some barbarian groups, e.g., Scots, Norse, and Irish, to settle in Britain as "laeti". "Laeti" were warrior-colonists who were granted land by the king in exchange for military service. Cole "Godebog" was caught by surprise by Quintillus who made a night-attack on Cole's encampment and scattered Cole's Army in flight, and Cole "Godebog" drowned in some bogs during the rout of his forces Year 420. This battle, according to tradition, took place somewhere in Strathclyde. Cole "Godebog" was buried under a circular mound at Coilsfield, in the parish of Tarbolton. The descendants of Cole "Godebog", called "the sons of Godebog", or "the Coelings", or The "Gwyr Y Gogledd" ("Men of the North-Country"), developed into numerous branches over time and were the rulers of lands throughout Northern England which was called the British "North Country". Of the thirteen local states (regional-kingdoms) into which the British "North Country" was resolved, eight were ruled by Cole's descendants.